John Clingan is a Managing Director at Proprium Capital Partners, L.P., where he is focused on leading new investments in Europe as well as overseeing management of the legacy SSF III European portfolio. 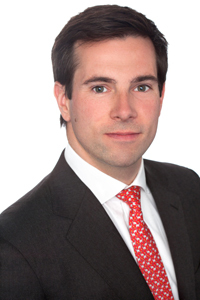 Prior to joining Proprium, John spent five years at Blackstone Real Estate in London, with responsibilities in both investment and asset management. As a member of the acquisition team, John sourced, evaluated and executed investments across asset classes and geographies, with a particular focus on hotels (€700 million closed) and logistics properties (€500 million closed). John also led over €1.3 billion of debt refinancing or restructuring through the downturn, helping to secure value recovery in the portfolio as global markets improved. John began his career at GE, first as a member of the GE Capital Financial Management Program (“FMP”), followed by two \ years evaluating portfolio and corporate acquisitions at GE Real Estate. John holds a Bachelor of Science in Electrical Engineering from Brown University and an MBA from MIT Sloan.